I have had the loveliest day, and it feels so good to just sit down and write about it. This month has honestly been so crazy, and today was the first time in ages that I had some solid free time to relax and do some personal sewing. 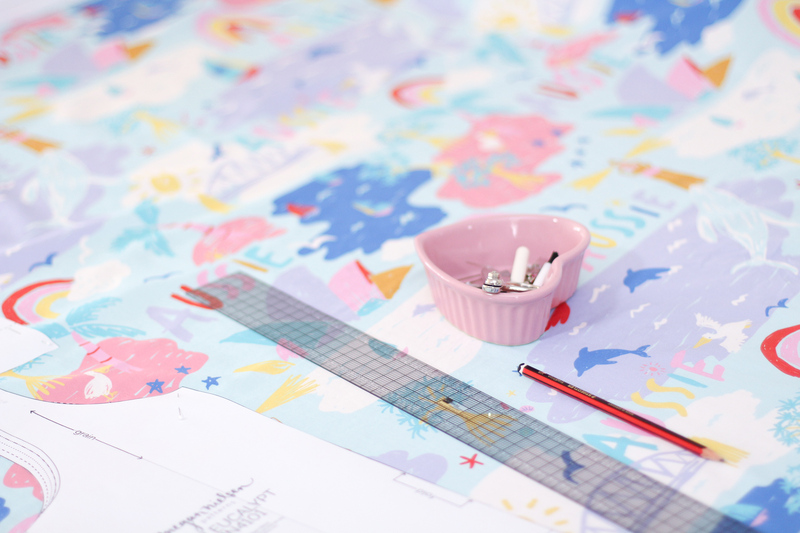 The last few weeks have been spent focusing hard on samples and photoshoots and getting our newest patterns to print. Usually the most patterns I release at one time is two, but this time I’ll be releasing a mini collection of four patterns, and it’s been a huge amount of work. I’m questioning my sanity. Please pass the coffee. Now that everything has been sent to the printers, I felt the most relaxed I’ve felt in ages and couldn’t wait to get some sewing done for my kids. 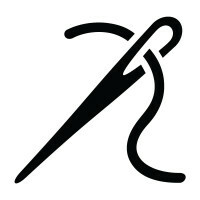 It’s funny because even though I am constantly sewing year round, often that sewing ends up being for pattern development and final samples. So it felt really good to pull out the machine today and get cracking on something completely different and really fun with no deadline! My lovely friend Ellie Whittaker is a surface pattern designer and having designed fabrics for other brands for years, she is now opening her own online fabric store. I’m so excited for her – it’s wonderful to watch other creatives grow and succeed, and I’m such a fan of her aesthetic. She is super talented and just the loveliest person ever. When I found out she was opening an online store filled with her own fabric I couldn’t have been happier for her, and begged for sneak peeks. And then as if she couldn’t get nicer, she sent me a few metres of her new designs to play with and they arrived this week! It took me all of 2.4 seconds to get them prewashed and it took my kids a further 3 seconds to demand them off the washing line for themselves. I should have known this would happen LOL. Ellie is launching her store with a line of 80s/90’s nostalgic Australiana themed prints, and these two were my favourites. These are both a really lovely soft cotton sateen, and feel gorgeous in hand. They are open for pre-orders next weekend, with more designs coming shortly after (and trust me, they’re GOOD). I highly recommend following her on Instagram for updates and sneakpeeks of what she is working on (and then you can act like a complete stalker like me ha!) and of course check back at her website next weekend when she will open up pre-orders. 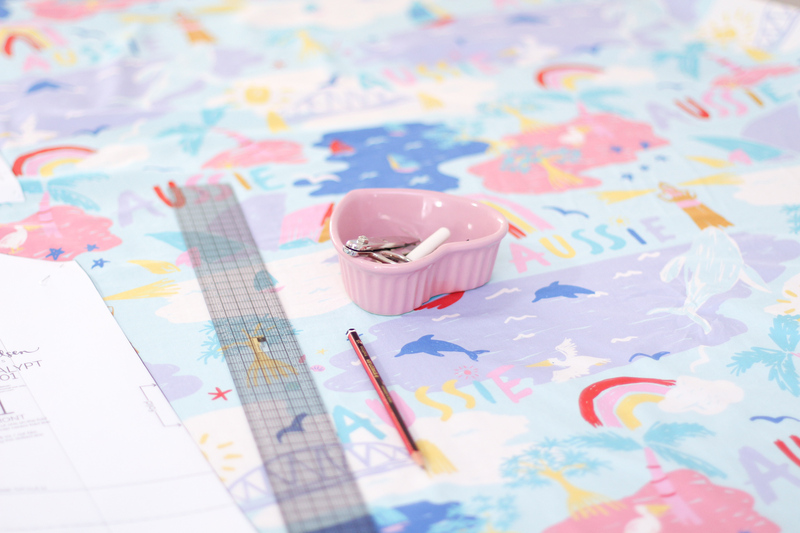 So here’s my plan – Bunny and Birdie love to match, so I’m making them matching tops and shorts from the “Aussie” print. For Buddy i’ll be making him some shorts from the sea birds print, and a soft jersey tee with probably a sea bird feature pocket. The girls tops are from my Mini Eucalypt woven tank pattern which i must admit I have been slowly developing for over a year, and i’m not sure when i’ll be done. Perfectionist tendencies are the worst. The shorts are a similar story, and basically grew from Bunny’s desire for shorts that were a more practical length than those that are general on offer for girls. 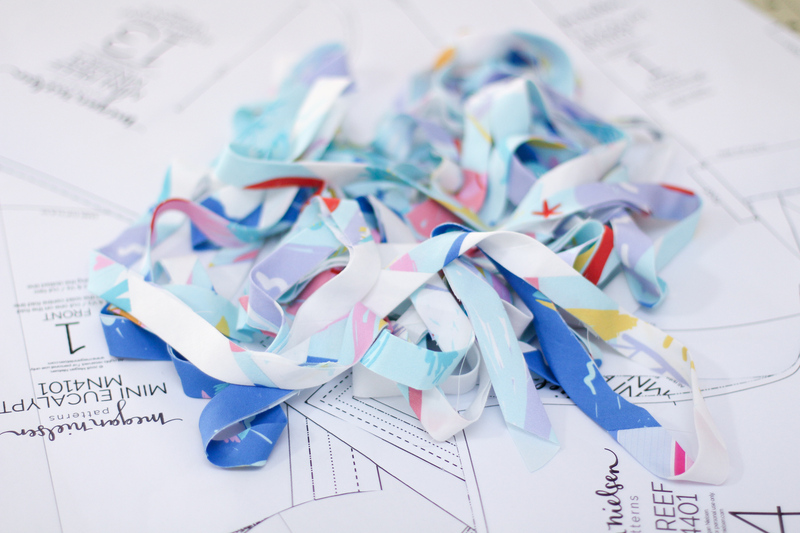 Today I cut all the fabric out, and then used all my offcuts to make an epic 10m long strip of bias tape. 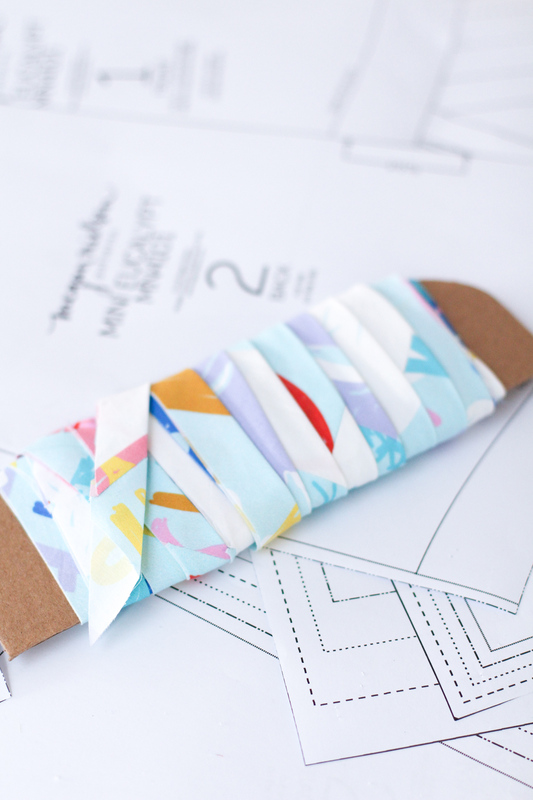 This is currently one of my favourite ways to use up my scraps! 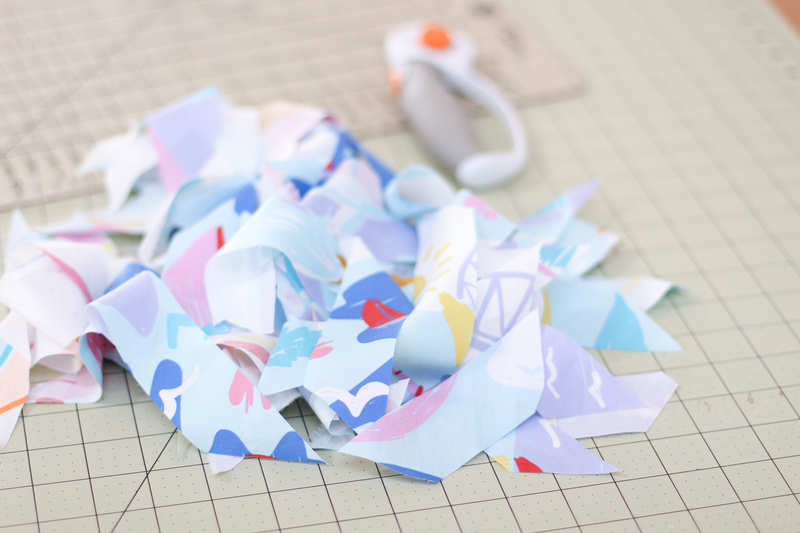 Bias tape never goes to waste in my sewing, and it’s such an easy way to make all my scraps useful. And when the print is this gorgeous, who could throw any away? 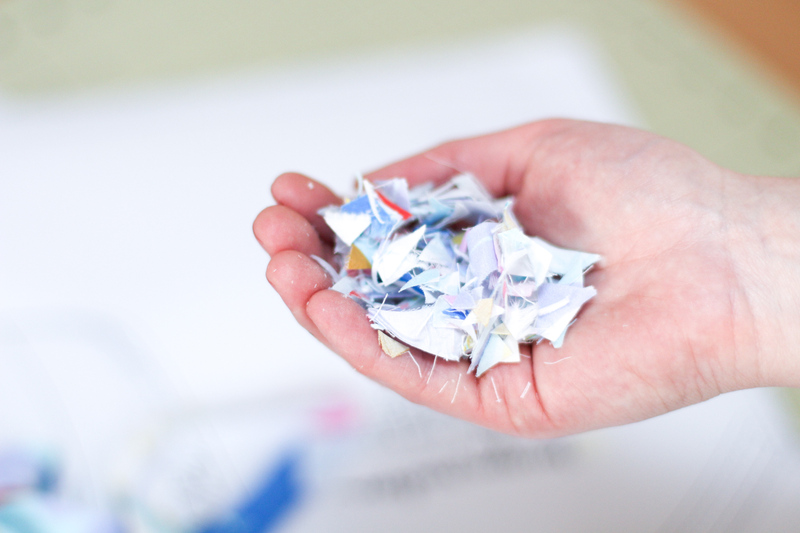 The tiny bits that were too small for use ended up in our compost bin. 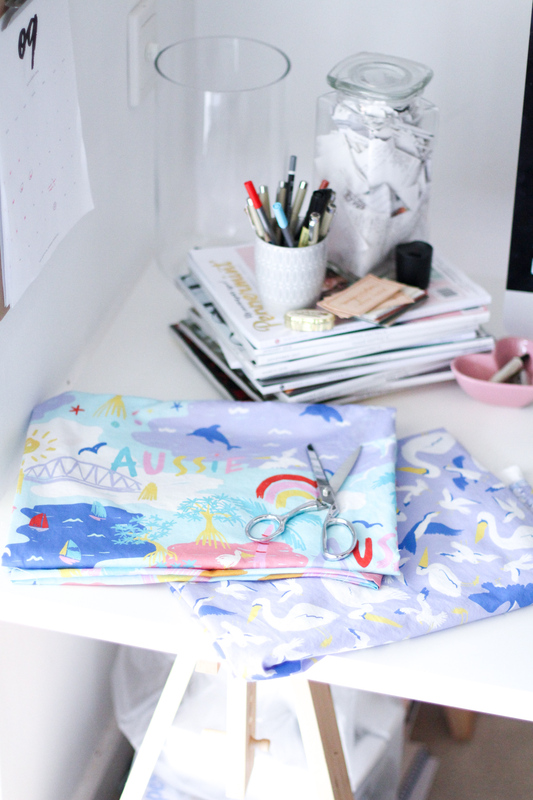 I still have a lot of seabird fabric left and a small amount of the “Aussie” print so I’m thinking I might use some for myself (YAY!) or maybe make the girls matching dresses as Bunny is requesting I do. That girl is so good at convincing me to make her things! 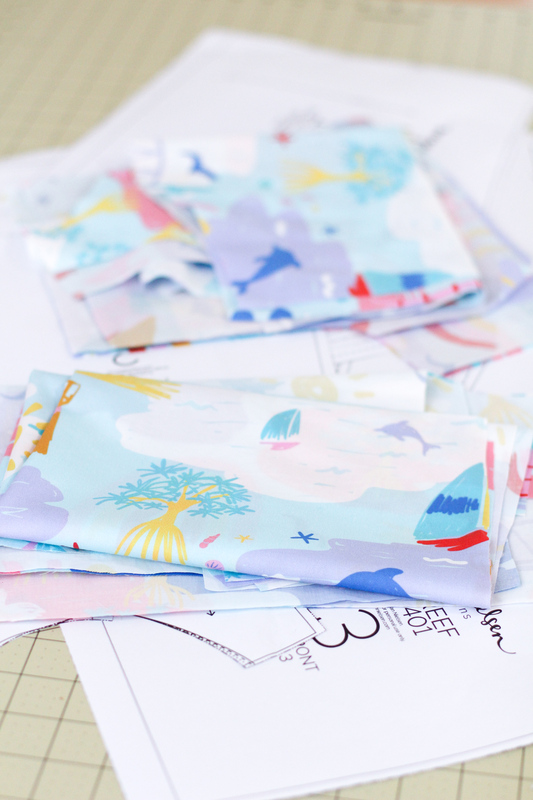 Watch this space… there will probably be seabird dresses in a few weeks ha! So that’s all for today! Just a lovely calm day spent cutting beautiful fabric and making bias tape. No matter what happens or how busy things get, I love that I still get to sew. That I can come back to this craft and make something with my hands. It never gets old. This really is the best hobby there is!